Play and train longer by containing all those stray shots! 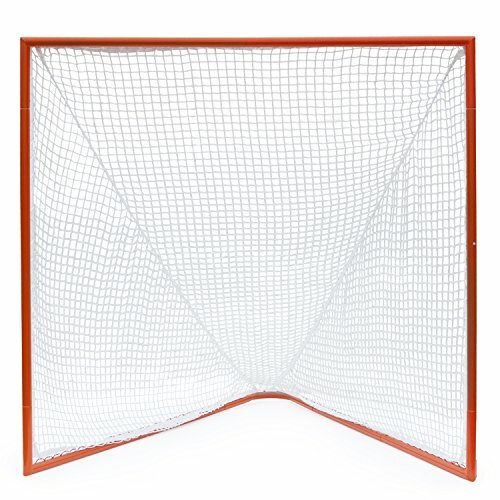 The Fiber-Tech Lacrosse Goal Backstop quickly and easily assembles to any 72 inch steel goal. 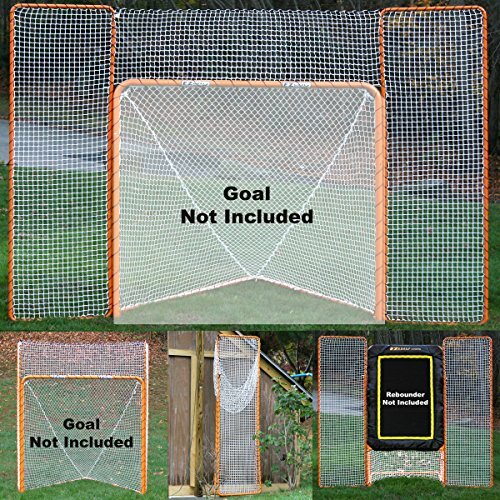 Covering an area of 12' wide x 9' high, this goal add-on allows you to spend more time shooting and less time chasing balls into the field or yard next door! Backstop is also great for protecting cars & garage doors from those shots that just seem to miss the corners! 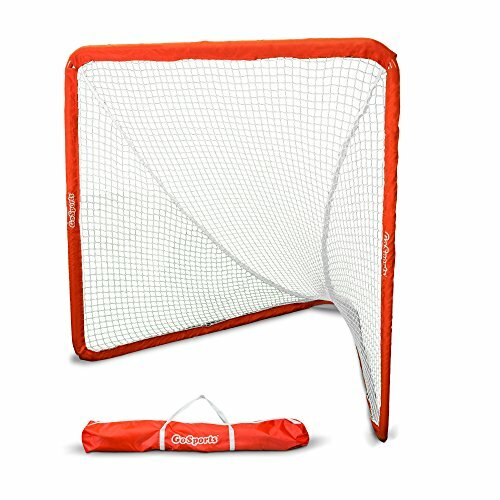 This backstop was designed for use with all official & practice lacrosse balls, and sets up and breaks down in minutes. Turn your goal into the ultimate training tool & let those shots fly. 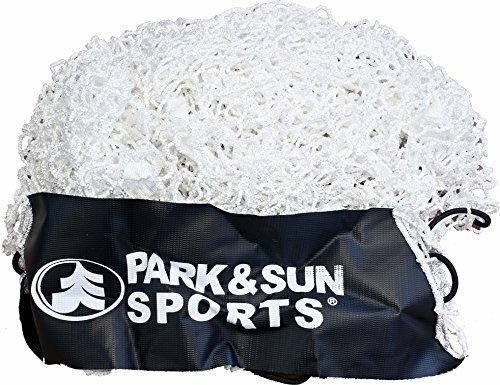 The Park & Sun Sports nylon slip net delivers exceptional performance for both indoor and outdoor use. This premium netting is made from heavy-duty, 32-ply braided knotless nylon with 1-3/4" mesh and a bungee cord frame, which measures 5 mm in diameter. It's designed to easily stretch over your existing goal frame, allowing for quick, hassle-free setup. Velcro net ties ensure the netting remains in place, even after repeatedly absorbing ball impact. It's also treated to make it UV resistant, making it possible to retain color and shape. Nylon blend netting is superior at withstanding harsh weather compared to lower-end polyethylene (PE) nets, making it possible to enjoy this net for years to come. 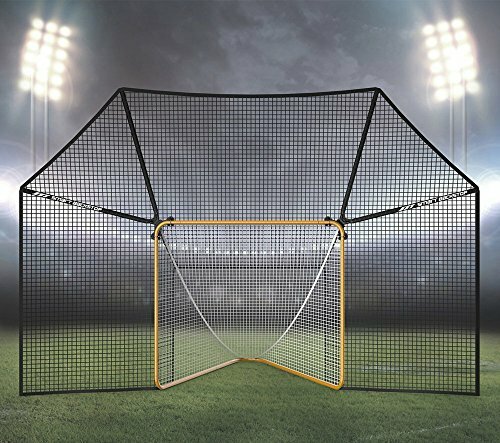 The Park & Sun Sports nylon slip net is available in a variety of sizes to choose from that's compatible with a wide-range of sports; whether you need a net for soccer, lacrosse or street hockey. Goal frame sold separately. 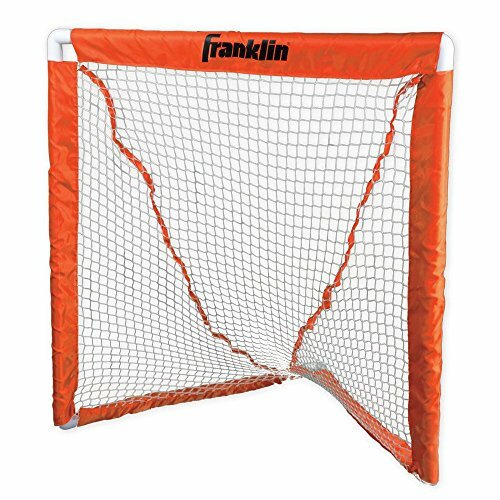 Teach all the neighborhood kids the fundamentals of the popular sport of lacrosse with this Franklin Sports Deluxe Youth Lacrosse Goal in your back yard. 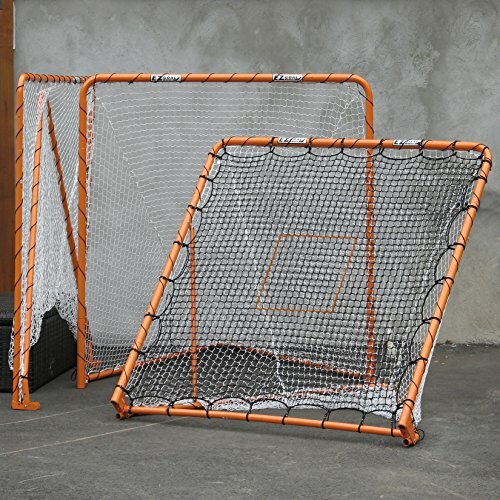 This youth lacrosse goal is easy to set up and features a sturdy ABS frame plus pro-style net construction. In 1946, brothers Irving and Sydney Franklin founded Franklin Sports in Brockton, MA. As the company grew, Franklin's headquarters moved to a larger facility in Stoughton, MA. What began as a business specializing in manufacturing leather sporting good items for the youth market has expanded successfully with the addition of distribution partners in Europe, Japan, Australia, Mexico, and Canada. As proof of Franklin's top-quality products, the Franklin batting glove is the official batting glove of Major League Baseball. From professional athletes to the youngest novices, Franklin meets the needs of all, with innovative products and exceptional value. Dimensions: 38W x 32D x 38H in.. Durable ABS frame. Pro-style net construction. For ages 6 and up. Dimensions: 38W x 32D x 38H in. Shoot hard in corners like a Pro without having to chase the ball hundreds of feet down the street or into the woods. No more dented garage doors, broken windows or lost balls. 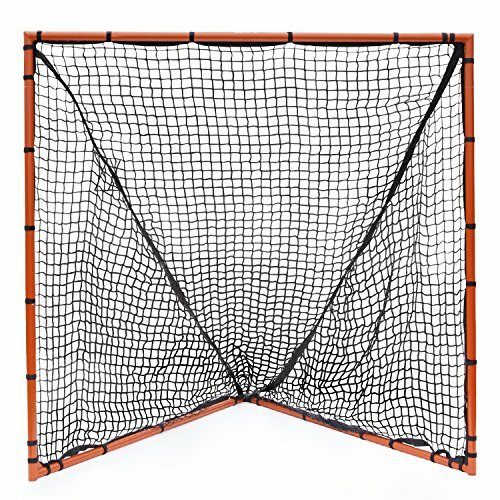 The Backstop Rebounder folds forward for side shots and folds back for game play. Connects to any goal. Throw more balls in less time! the Backstop comes off in minutes, if you prefer for play or storage. 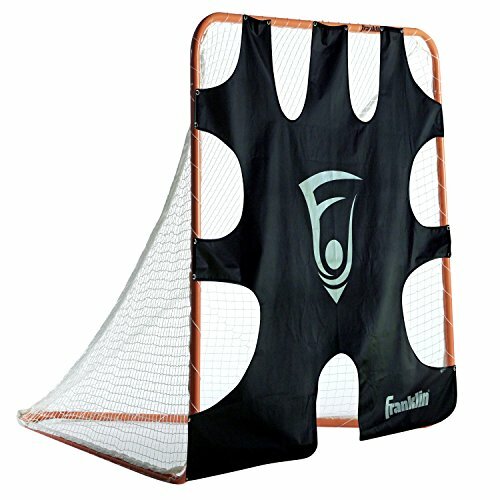 Escola Backstop Rebounder is a great tool to improve your accuracy, shot and consistency. The Backstop is proven to "make a good shooter a better one". Introducing GEN 3 Tougher. Sleeker. Smarter. The most advanced Smart Backstop yet! 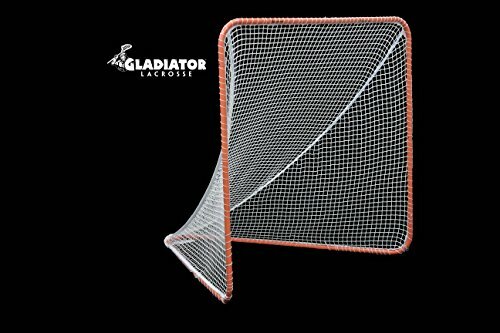 The ultimate lacrosse backstop. Smart design easily attaches to goals (goal not included) to allow more shooting, less shagging, less broken windows. 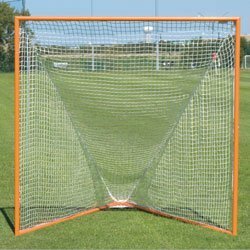 Fits all regulation size, 6' x 6' lacrosse goals including goals with round or square corners and even goals with net lacing bars. Folds away for easy storage. When we were thinking of a name for our lacrosse backstop, we kept coming back to the word "smart." At any level of lacrosse, if the goal is to get better, one has to practice. If you're going to practice, the smart thing to do is put up a backstop. Reducing the amount of time shagging balls, losing balls, breaking windows and annoying neighbors is a no-brainer. Then there's that goal of getting better. In lacrosse, you'll never become a sniper by shooting for the middle of the goal every time. That's making a goalie's life easy. It's a bad habit but a good backstop can prevent it from ever being formed. Don't be afraid to miss! The smart player aims for the edges and a backstop encourages smart shooting. There are a few backstops out there but none compare to ours because it's the smartest. It's designed by parents, coaches and players with players and parents in mind. Easy to assemble, durable, and it becomes one with your goal. When it's not in use or the goal needs to be moved, Smart Backstop easily folds away and out of sight behind the goal. Compare Smart Backstop to any other backstop out there. When it comes to quality, durability, design, ease of use and price, there's no smarter choice! 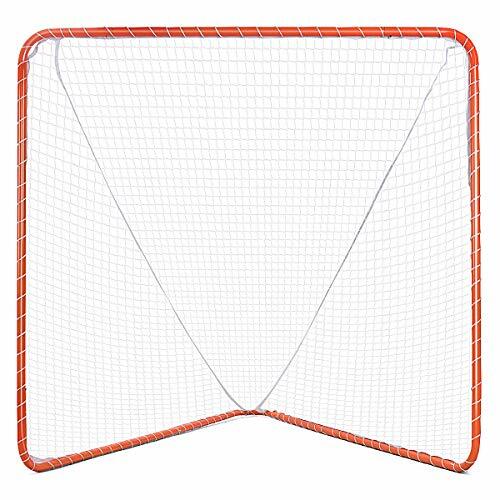 Fits all regulation goals with round or square corners and with net lacing bars on the goal frame! Goal not included. Practice smart - no one gets better chasing lacrosse balls! Wide coverage around the goal means more shooting, less shagging and fewer lost balls. Installs in minutes, no tools required. Folds behind goal, and can stay on goal year round. Ships within 24 hours M-F for free! 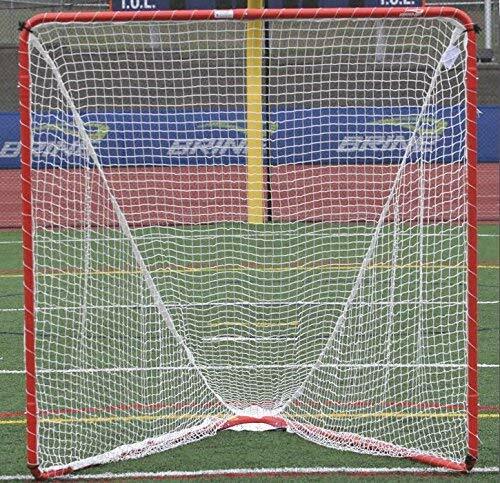 Brand: Smart Backstop | Manufacturer: Smart Sports Tek, Inc.
Promote your name by improving your aim with the EZGOAL Steel Folding Lacrosse Backstop (Lifetime Warranty On Goal Net). This first-class training tool will quickly perfect your shot without chasing balls around. It's built from optimum materials to ensure longevity throughout your career. The stable 1-inch-thick, 19 gauge steel frame has UV-protected netting that won't deteriorate when left in the elements. Why would you leave something this exceptional out in the rain when its Rock Solid folding mechanism allows you to keep it anywhere. Brine's backyard practice goal is Officially sized 6' x 6' x 7' lacrosse goal for backyard and practice use. Includes a triple-stitched binded 2.5 mm high extension polyester net. 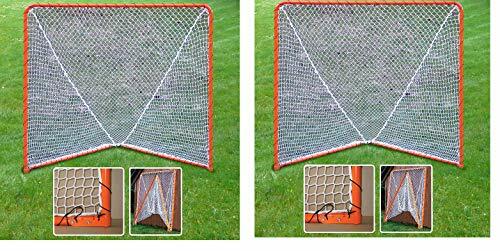 The Go Sports regulation lacrosse goal was designed to be the first and only truly portable lacrosse goal. This is for all the parents, coaches and players who do not have access to a field with a goal or don't have a yard big enough to practice. Any other goal takes around an hour to setup or Takedown the net, but with our innovative net system, we have reduced that time to 5-10 minutes. That means you can grab the goal in its compact carrying case, head over to your local field, and be playing or practicing in no time. 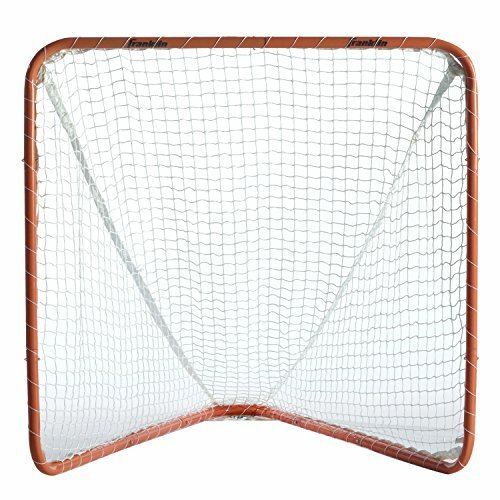 Instead of buying a pickup truck to haul around the competition's goals, just buy the Go Sports LAX goal! 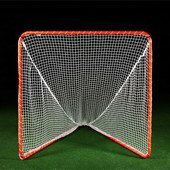 the goal is made by the same premium tubular steel as the other nets with a reinforced nylon netting that has a lifetime warranty. The net is regulation size at 6' x 6' x 7'. You may be a parent who wants to give a surprise to your potential child, or you may be a coach preparing for training teams, or even you may be a player or an athlete of lacrosse or hockey aspiring to your dreams. Whoever you are, you may want to improve his, her, or your skills by choosing a perfect lacrosse goal, and you get here. Our backyard lacrosse goal's figure is constructed with solid iron tube with baking paint for both building a stable frame and resisting severe weather. Net attached in the frame be made of waterproof and heat-resistant. All means that this lacrosse goal is fitted especially in outdoor training. Also, this goal has large size which design for professional training, and a good team may be created by using it to improve members' skills. Baking paint enhances its wear resistance and frame's hardness. Iron tube size: 1" 0.04"
Detachable Structure: This goal can be removed into several parts for you to store and transport it conveniently to the garage when you don't want to use it and you need not worry about the problem of occupying space. It is also easy to assemble with the snap-lock frame. This tank is made with an ultra-comfy and flattering jersey knit that drapes beautifully. Feels smooth against the skin, looks dressy, feels comfy. The EZ Goal official 6 feet x 6 feet goal that is used by pros and school teams. The heavy-duty steel regulation goal has a patented rock-solid folding system that folds flat for easy storage. This tough goal will last for years. Ezgoals are built of the best materials to ensure durability throughout your career. The goal itself is a sturdy steel frame with UV-protected netting that won't deteriorate when left in the sun. But why would you leave anything out in the elements when it quickly and easily folds flat for storage. 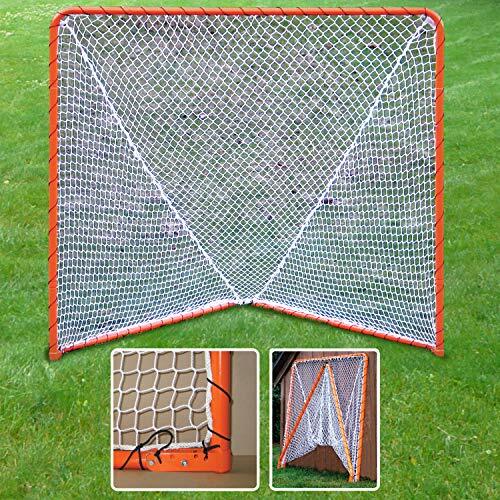 The EZ Goal Lacrosse Goal also can be used with the EZ Goal Backstop Rebounder so you don't have to chase balls. Make a good shooter a better one.